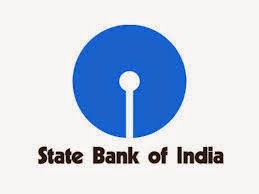 State Bank of India (SBI) is expected to announce the results of Clerk Mains examinations before August 31, as CRPD Mumbai sources indicated. The delay is due to the confusion and pending decision over SBI holding interviews for this process. SBI Clerk Mains Results 2016 have been delayed and SBI PO Mains Results 2016 expected on August 16. Earlier SBI Clerk Mains Results was expected by mid of August but no official notification has been made by SBI. The SBI Clerk Mains Exam 2016 was held in the month of June 25 and 26, 2016 and the SBI Clerk results was earlier expected on July 23 but no date has been officially fixed. Whereas SBI PO recruitment was done in two phases, first is Prelims and second is Mains. 5) Click on the link related to marks. The SBI Clerk Mains Results and SBI PO Mains Results will be obtained on the screen. Candidates can check their marks and take a printout of the page for future purpose.